West Dulwich railway station is in the London Borough of Southwark in West Dulwich south London. It is in Fare Zone 3, and the station and all trains are operated by Southeastern. The station is exactly 5 miles from London Victoria and is located east of Croxted Road and is situated opposite Belair Park. The line from Herne Hill to Beckenham Junction was built by the London, Chatham and Dover Railway (LCDR) and opened in 1863. 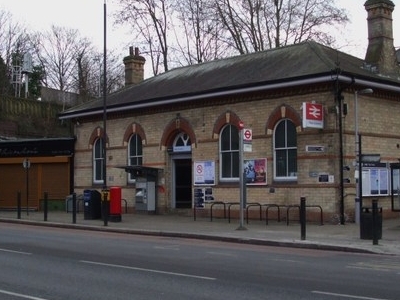 The station was opened as "Dulwich" in the same year. The prefix "West" was added in 1926. The typical off-peak service is four trains an hour northbound to London Victoria (via Herne Hill and Brixton) and four trains an hour southbound to Orpington (via Beckenham Junction & Bromley South). Here's the our members favorite photos of "Railway Stations near London Borough of Southwark". Upload your photo of West Dulwich Railway Station!